Does your business require refrigerated equipment to transport your cargo? Suppose U Drive offers both vans and trucks to get the job done. Our high-quality equipment is available for rent or lease to fit your needs, and each model comes equipped with the features your crew needs to perform at their best. 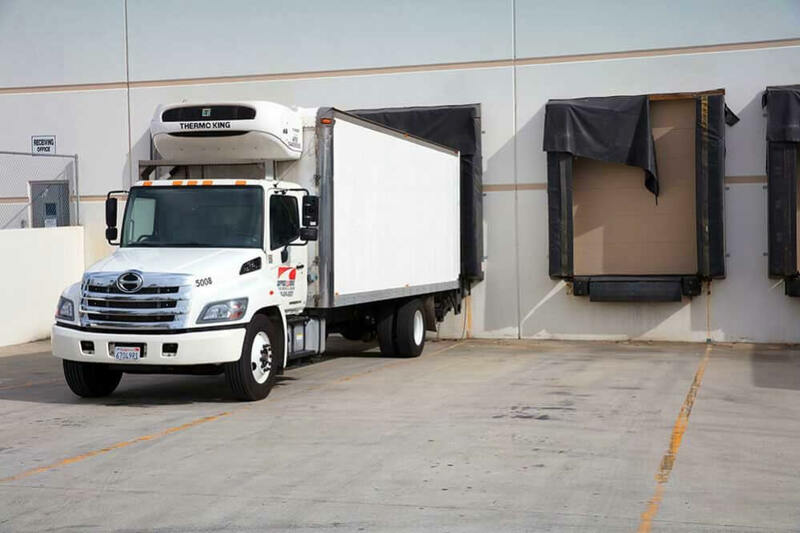 Our refrigerated trucks offer an aluminum, inverted T, non-skid floor for safe and easy loading along with 12″ scuff plates. All trucks are also E-track equipped, and come with pallet-sized liftgates or a liftgate and ramp combo. 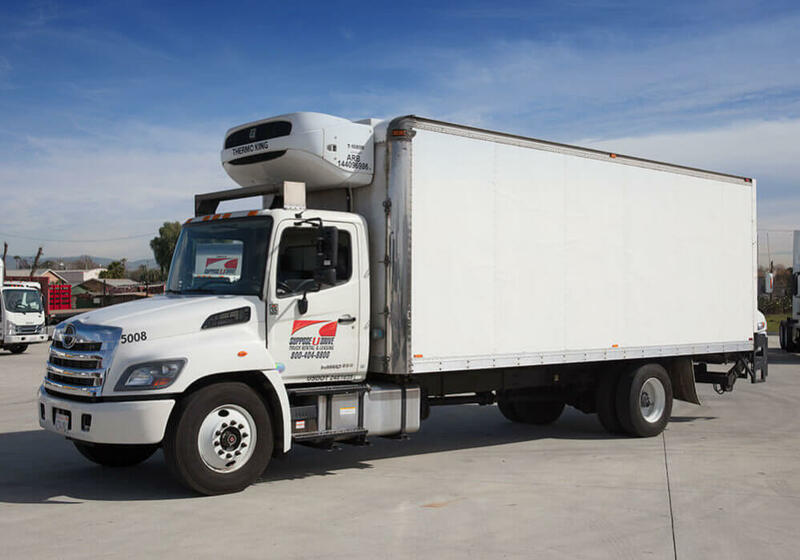 To ensure the quality and preservation of whatever you’re transporting, our refrigeration trucks also come frozen temperature ready with electric standby equipment installed and tested. With Carrier & Thermo King refrigerator units, you know you can trust that our trucks can get the job done without any mishaps. Plus, LED lighting will allow your crew to work in the cargo area safely and efficiently any time of day. 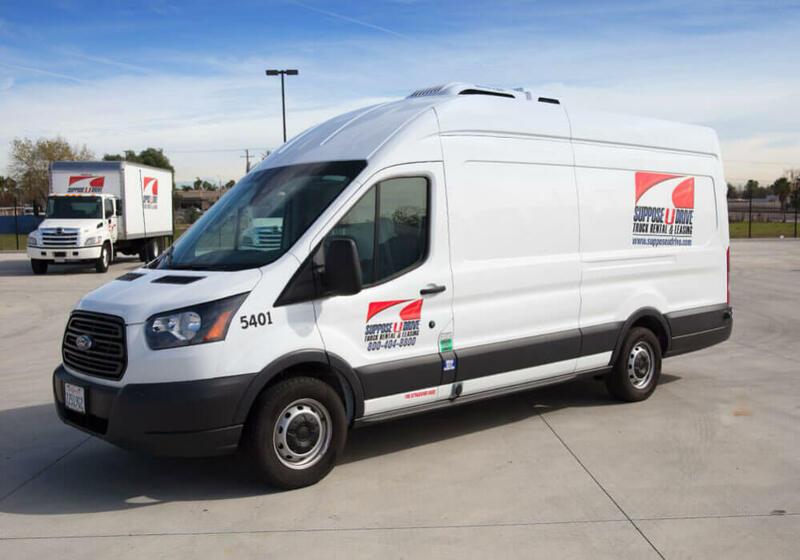 If you need a smaller refrigeration solution for your next project, our refrigerated vans might be just what you are looking for. The cargo area features a smooth diamond-plate aluminum floor for easy loading. With Kingtec equipment in place, you can trust every van’s reliability, however, there is also electric standby equipment in place, and an engine driven refrigerator unit. Every van features a Transit Van high roof so that you and your crew can get in and out with ease. 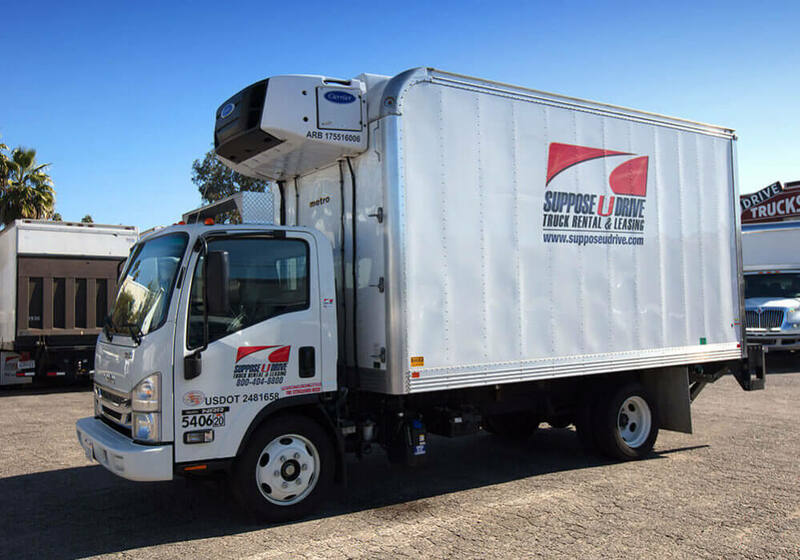 Like every van and truck within our fleet, our refrigerated equipment is ready for short-term rent or long-term lease whenever you need them. Our maintenance crew puts every vehicle through extensive quality inspections in-between each usage to make sure the vehicle you drive off the lot will always meet the highest standards of quality, reliability, and durability. Stop by our lot or give us a call to discuss your options.